A.P.E.’s main public space, with large storefront windows, is approximately 2,000 square feet. The space is used for visual arts, performance, readings, music, projects and community special events. The space is equipped with 50 chairs, a flexible lighting grid 14 ft ceilings, two (wheel-chair accessible) bathrooms, and an abundance of natural light. Get the floor plan. To submit a proposal for an event at A.P.E., please see our Submission Guidelines. The second floor houses A.P.E. 's offices and Library. A.P.E. has renovated the top floor of the building to work as a new space for 'The After School', a creative resource learning center directed by Anne Woodhull. Programs began in the Fall of 2009. Connected to the After School is a large open studio space for special projects and workshops, and the roof above supports a recently installed 4.5 KW photovoltaic array. 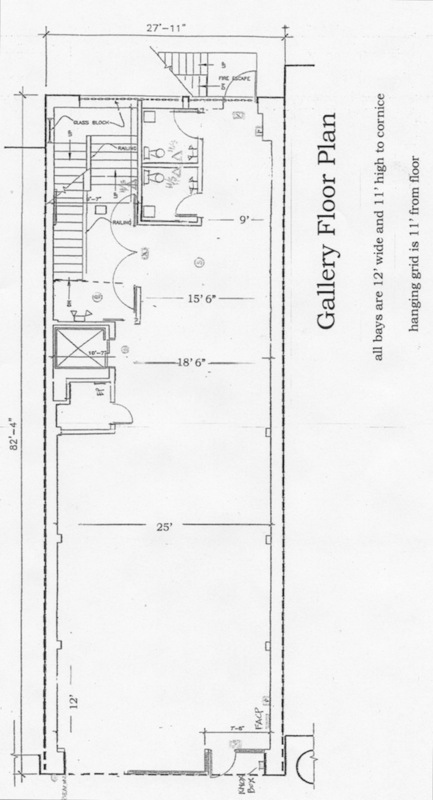 The floor below street level is open office space, currently leased to local designers. This space is designed to create a collaborative office environment with several different work areas sharing administrative and technical services. For more information and availability, contact A.P.E. The ground floor houses a garage, a shop, and the building's mechanical systems.